Graveyard Shift Anthology Book Review. 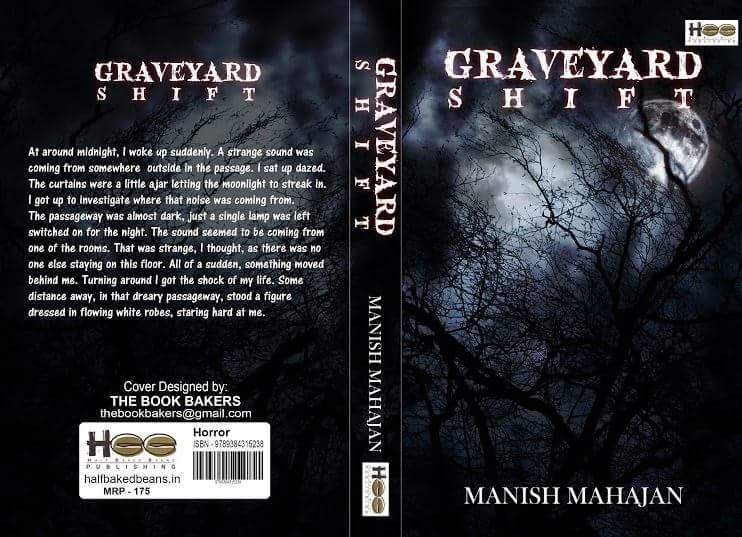 Today I am going to review the latest release by Half Baked Beans Publishing, ‘Graveyard Shift’ by Manish Mahajan. It’s an Anthology of short stories and as the name suggests the genre is Horror. At around midnight, I woke up suddenly. A strange sound was coming from nowhere outside in the passage. I sat up dazed. The curtains were a little ajar letting the moonlight to streak in. I got up to investigate where that noise was coming from. The passageway was almost dark, just a single lamp was left switched on for the night. The sound seemed to be coming from one of the rooms. That was strange, I thought, as there was no one else staying on this floor. All of a sudden, something moved behind me. Turning around I got the shock of my life. Some distance away, in that dreary passageway, stood a figure dressed in flowing white robes, staring hard at me. It’s a horrifying poem with a scary plot. It’s about a friend who is dead but has his appointment scheduled to meet the poet. Does he come back from the dead to meet him? The first short story from the book starts with a normal tone but later turns into a scary revenge drama. This story is horrifying but seems a little bit unbelievable. But the description of the resort before each scene began did scare me. An overnight train, and five passengers sharing their personal encounter with ghosts and spirits. This is one of my favorites because it begins with a predictable bollywood style plot but ends with a confounding twist. Also the information about chudails: Pichal peri etc doubles up your curiosity to know more about what the story is going to bring further. 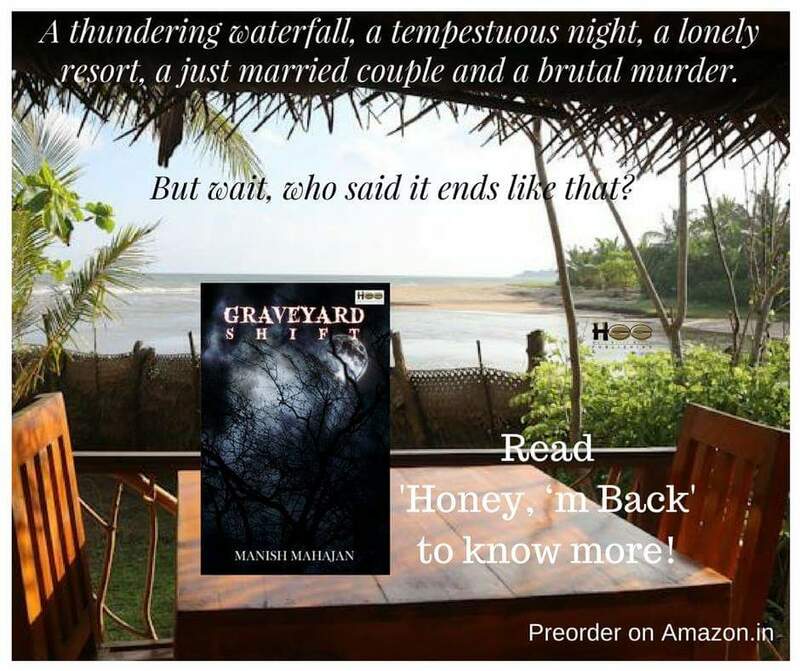 A team of 10 people from the organisation ‘Ghost Hunters Of India’ go to Warren Hasting’s erstwhile Bungalow in Alipore, Kolkata to conduct their paranormal investigation when suddenly things go horribly wrong. I felt this story had the most unique plot and it had a suspense factor which you’ll know when you read the book. The information about who warren Hasting was and some historical information makes the story more believable. How can there be horror story and no mention of one of the most haunted places on earth? Yes, I am talking about Bhangarh Fort. I had read the blurb on the index page and was very keen to read this story. And it lived to my expectation. Its a story about Tara who loves her doll wendy, Saloni a small girl picks up that same doll from Bhangarh, but how come the doll reached there? And what frightening incidents happen between Tara and Saloni for their possessiveness for the doll? Read this book and find out. I enjoyed it, this short story kept me at the edge, and I couldn’t stop but finish it in one go. This story is about Ravi and Gaurav, two best friends. How one day Ravi encounters a murder in the opposite building and how his life is gradually changed upside down. Moreover, he sees it eveyday! What’s the mystery behind it? This would be my most favourite story from the book. Because this one is not only scary but has emotional elements too. It is also informative about what crossover means, what does cold room and strange rotten smell indicate, etc Though this is a short story, the writer has not tried to jump from one scene to another. Each incident is well outlined and narrated. Although I knew the basic storyline, I liked how the author has written it from King Vikramaditya’s point of view. As if it’s him narrating the incident. And the details about the encounter with Aghori was indeed scary. Overall Graveyard shift is high on entertainment. The author has not only written frightening stories, but also added facts and information about dead world which multiplies the impact of the tales. It gave me sleepless nights. Get your hands on this book if you are fan of the horror genre, and even if you’re not, this book is so good, it will make you one. Graveyard Shift Anthology, recommended by LazyScoop! You can order the book by clicking here on this link.